When it comes to Jim and Judy Noble I can honestly say they are the best. Joe and I have lived through the building of three houses in different areas other than Muscatine. We’ve remodeled and did make overs of several of our homes, so we have had to deal with many people in the construction and home improvement business. Plus I also have family members in the business. Working with Jim and Judy was a positive experience from the very beginning. When we were picking out our lot Jim took the time to check it out with us to make sure it would be right for the house we wanted to build. Judy was great when it came to my ideas. I could talk them over with her and many times with her input they became even better. I really enjoyed working with her. What impressed us the most was they were always available. If we would call they always got back to us the same day or the next. This was something that made us feel like we were important to them. 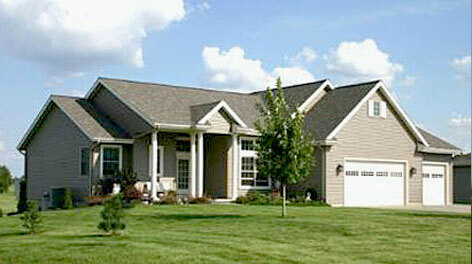 We are very pleased with our home and it was so nice working with Jim and Judy. Working with Jim and Judy and crew on the design and construction of our new home was a real delight. They patiently advised us through the design phase to come up with a floor plan that we have been delighted with. Jim and his crew advised us during the construction process regarding small changes that might be wise to consider. Many of the changes were done at no extra cost. There was no nickel and diming us with extra charges during the project. Changes that we requested that would result in a price change were identified up front and agreed to before proceeding. They let us know of decisions we would need to make regarding materials (fixtures, lighting, hardware, flooring, paint colors, etc) well in advance of their need for the information. The construction crew went the extra mile with us and gracefully tolerated the unique demands and idiosyncrasies of a first time home builder. We have had several friends comment on the high quality of their work. We have never built a home before and had heard all kinds of horror stories about how stressful the experience can be. That was certainly not the case with our experience. We actually look back on our experience with pleasant memories. We would highly recommend Noble Construction, Inc to anyone considering building a new home. It’s been 3 years since you built our home and we would like to take a little time and say, “thank you”. We are very pleased and happy in our home. We are having it refinanced this week and would like to share with you our surprise when the appraiser sent us her report. Our house has increased in value $11,000! Steve and I would like to say that you did a great job in completing our home. The whole process was easy and we recommend you to everyone who asks about our home. Building a new home can be full of hassles but looking back you made the process hassle free. Wow! We did it BUT only because of the wonderful people at Noble Construction. We would like to send our sincere thanks to everyone at Noble Construction for all of your help and patience during the construction of our home. Your professionalism and knowledge made the whole process as painless as possible, and we know you had to rely on your patience many times. Everyone was willing to go the extra mile for us and jump right in.